The epitome of loungewear. 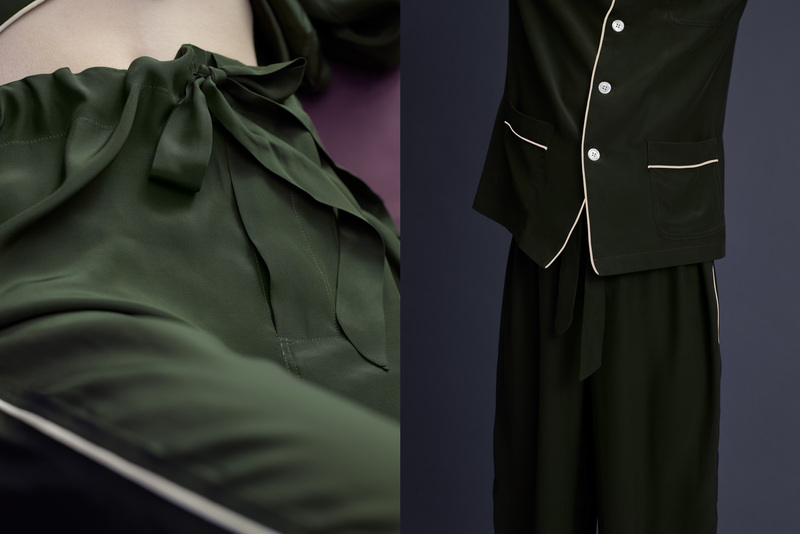 Unisex silk pyjama in dark green with ivory-white piping. 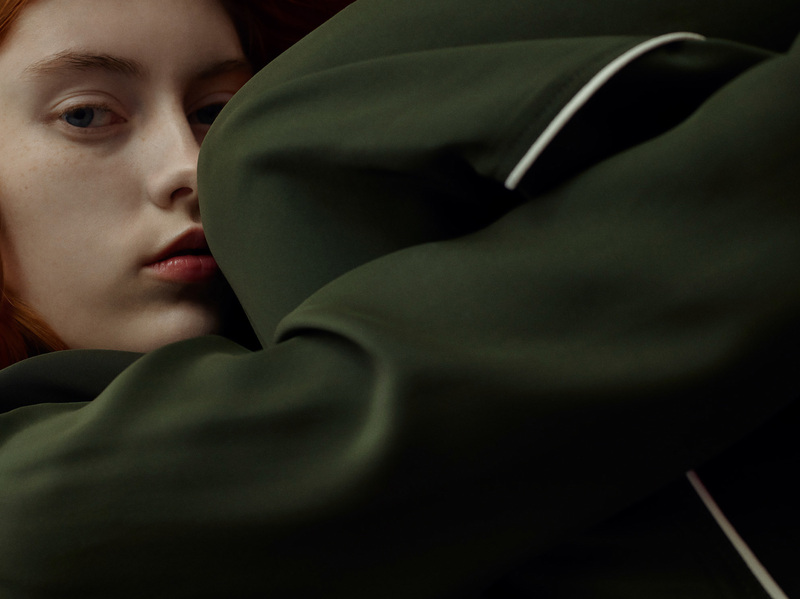 Designed in collaboration with sleepwear brand Olatz. The Wavy edition comes in a unique colour-way and with a Wavy monogram on the collar. The Wavy x Olatz Pyjama comes as a two piece set. The top with an embroidered Wavy monogram on the collar, five button closure and three front pockets. The trousers come with drawstring closure for a comfortable fit. The fit is loose. For women, consider sizing one down. Drawstring closure and hidden buttons on trousers. Each piece of the Wavy x Olatz Pyjama is made by a collection of the finest artisans, seamstresses and fabricators in the US. 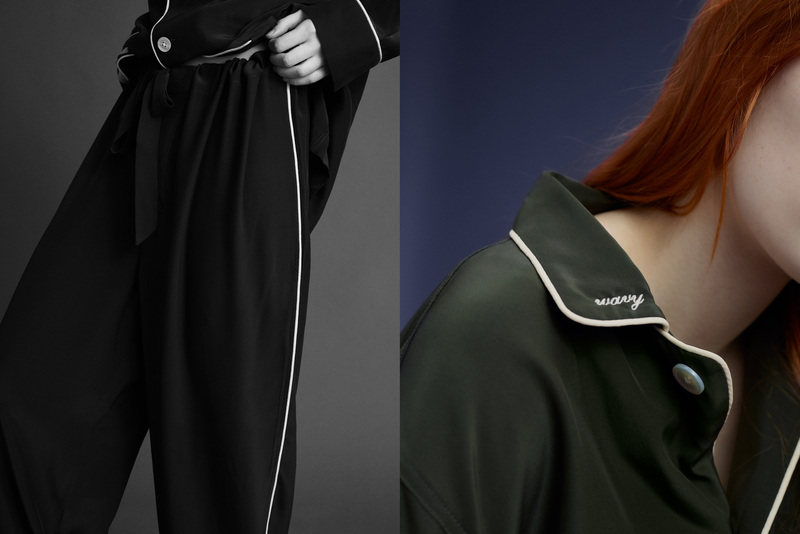 The pyjama is 100% silk and produced to strict environmental (and sustainability) standards. Shipping included in listed price. Stock is low so if your size is out, please contact us at objects@wavy.se for future shippings.